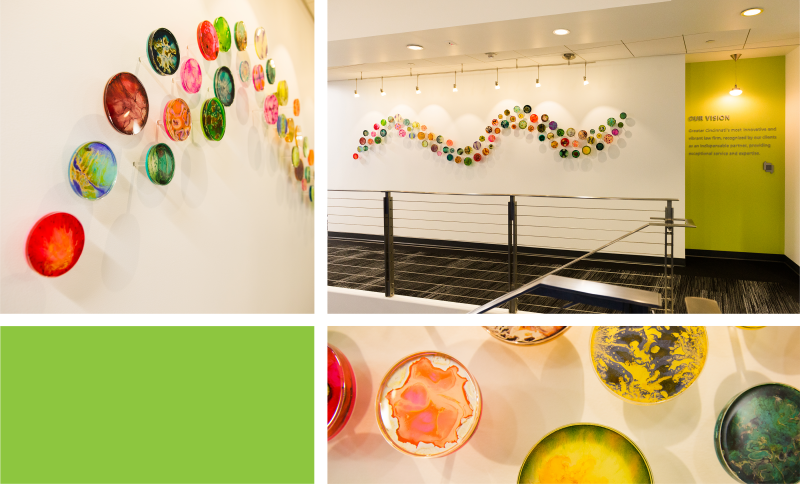 Allison Banzhaf is a mixed media artist who specializes in mixed media petri dish installations. Her work grew out of a fascination with the extraordinary images that astronaut Scott Kelly took from the International Space Station. A reimagining of Kelly's images led to the creation of her signature petri dishes. Allison has a bachelor's degree in Business Marketing with a minor in Art History from Western State in Gunnison, Colorado and currently works as a Art Consultant.